Like Merchant Ships: Which stores are best? 1. Find the thrift store with the lowest pricing and shop there over and over. Frequency is better than a city-wide search. Becoming a regular at fewer stores means that you will spot the fresh inventory first. Get to know the sales cycle and follow the markdowns. You'll also shop faster because you can gloss over last month's rejects. 2. Look on the map. When it comes to small, independent stores, choose those located in or near the richer side of town. Volunteers and donations tend to stay within a small radius. However, when it comes to city-wide chains, shop on the wrong side of the tracks. Sounds counterintuitive, doesn't it? However, chain stores in better areas are overshopped because people assume that the goods are somehow better. Not true! Here, city-wide chains like Goodwill and Salvation Army truck ALL donations to a central processing center and then ship them back out to stores across the city. The good stuff is evenly distributed, yet some of it goes unrecognized in the poorer areas of town. Professional Ebayers are catching on to my trick with their hunt-to-kill attitudes, but the principle still stands. 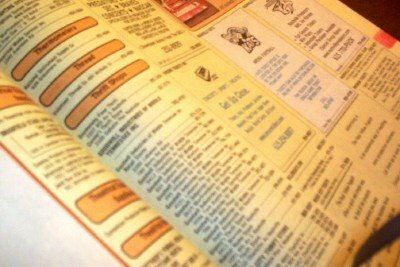 If you're not sure how to find a thrift shop, look in the Yellow Pages under Thrift Shops. I first discovered some of my favorites in my own city's book. It's also the first thing I pull out of a hotel drawer when I stay overnight in a new city. When you do get to a new place, look for a seasoned shopper and ask her if there are any other shops nearby. You're so right about Goodwill. There are 4 stores in my area: 3 in suburbs, and 1 in a run-down area of the city. Guess which one has the best stuff? Great hints! We live around a small community, but we do have 2 church thrift stores that I make a point to stop in every week. I don't often find much, but I have stumbled across a couple of good buys. There is a Goodwill store we drive by occasionally when we go into the bigger town 45 minutes away. It's not in the best part of town, so I hadn't stopped....I'm going to make a point to stop in and look next time we go by there. Meredith, any hints on finding the "rich" section of town when you are visiting somewhere? Do the yellow pages give clues I have yet to discover? We just returned from vacation to the East coast shoreline. I was asking the women in the church nursery in which I was working "Where are the best thrift shops? Where is the local Goodwill?" Now, these were ALL young moms. Not ONE of them shopped in those stores. Not ONE could tell me! One tip I've discovered: We live up north. Our area is great for finding snow gear, skiis, etc. in the resale shops. When I am south, I look for dressy clothes and summer things for my kids.
" Frequency is better than a city-wide search." Yes, you need to tell us your labels -- I read your back-posts and was impressed that you knew of so many upscale brand names that I'd never heard of before.